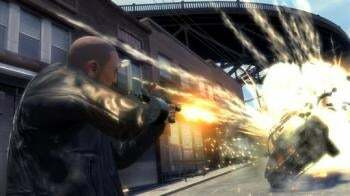 We've talked in detail about Grand Theft Auto IV's upcoming downloadable episode, but the Associated Press breaks down the music the game will feature, including at least one debut. The Lost and Damned expansion pack will include new music along with the hours of new play, AP reports. Among the artists signed up to include songs are Busta Rhymes and Funkmaster Flex. In fact Rhymes is debuting a new song, Conglomerate, in the episode. "It kind of shows the reach of video games to influence people to buy music," said music supervisor Ivan Pavlovich. "That's why it's important for people like Busta, when they have new material. He is pushing an album in this. ... That's part of the whole thing that we do that's really important to us, is turning people on to new music. "